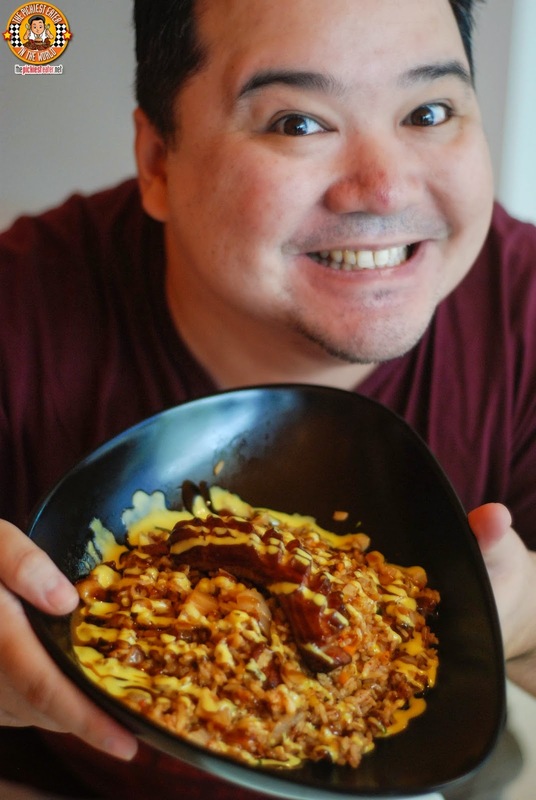 THE PICKIEST EATER IN THE WORLD: O RICE KOREAN STYLISH PAN FRIED RICE AT BGC FORUM! 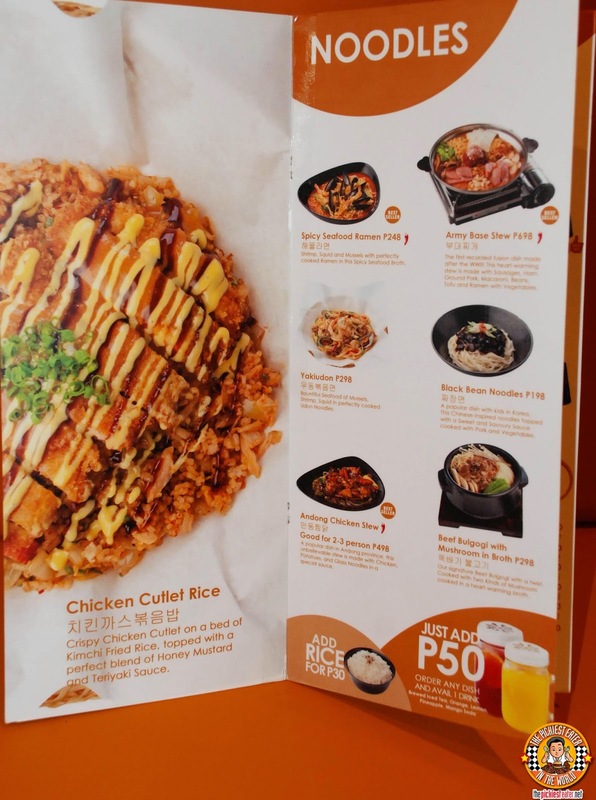 O RICE KOREAN STYLISH PAN FRIED RICE AT BGC FORUM! It was just a few months ago that I had my mind blown away by my Korean BBQ meal at Yoree Korean BBQ at BGC Forum. I've been back twice since then, and each time I pass by its sister restaurant, O'Rice, I can't help but be intrigued. 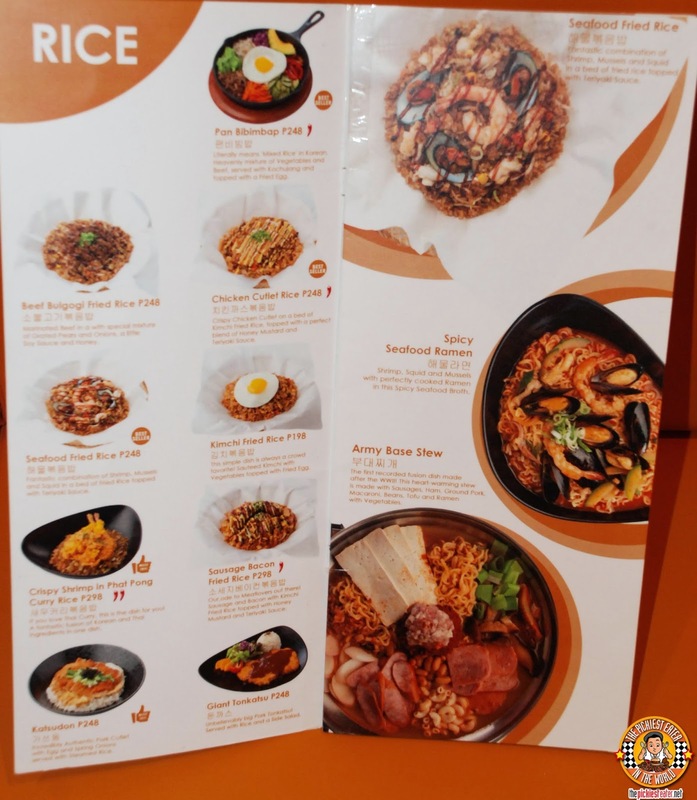 O'Rice prides itself in serving what they call, "Korea Stylish Pan Fried Rice", and as a lover of fried rice, this got my immediate attention. I was happy to discover that, like Yoree, O'Rice is also really quite amazing! 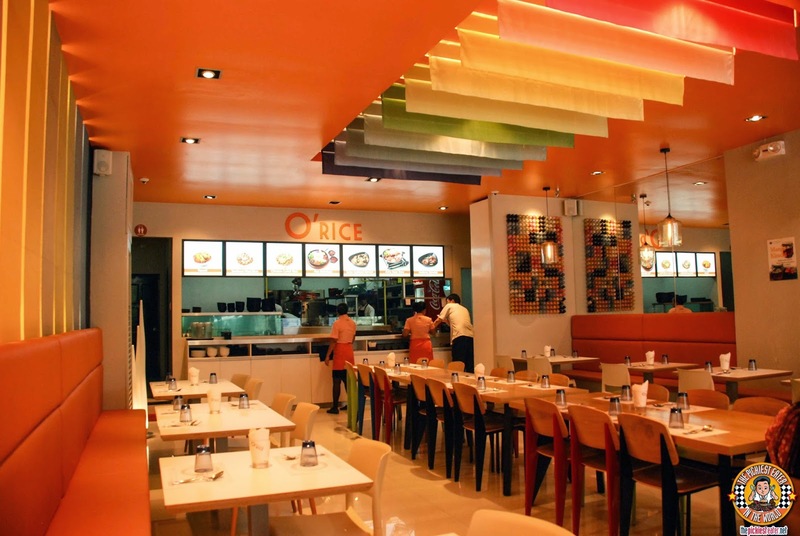 O'Rice offers a more relaxed, casual vibe as opposed to the classy elegance of Yoree. The fun, vibrant colors made me feel like I was in a modern day diner. O' Rice's head chef, Head Chef, Ryu Jang Ho, conceptualized some delicious rice meals that are big on flavor, without going overly indulgent! Much like Yoree, I highly recommend you try O'Rice's refreshing Iced Tea! 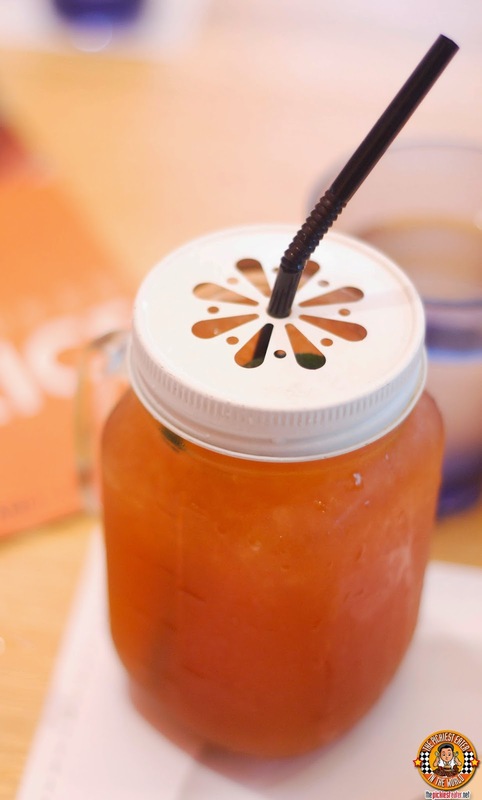 Nice touch of sweetness that compliments the citrusy twist! As we settled down in our tables, a couple of burners were placed in front of us. 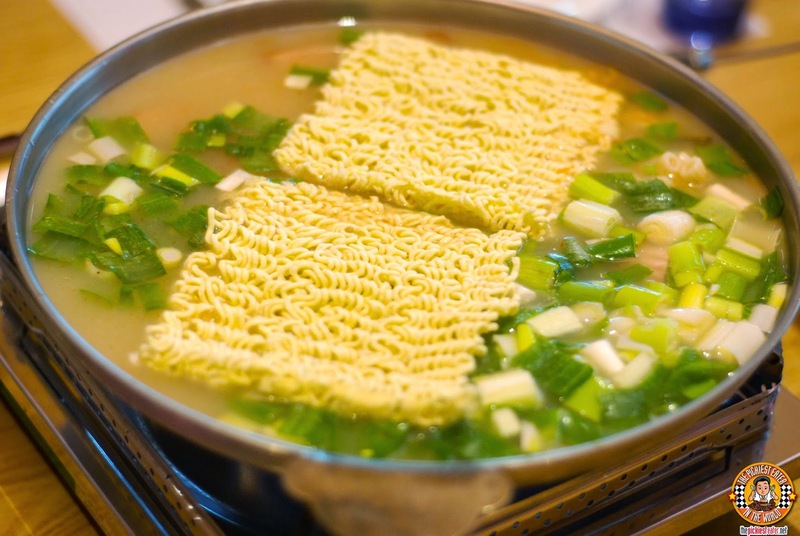 Shortly afterwards, the burners are fired up, and a cast iron soup skillet is placed on top, revealing a milky broth, containing Instant Ramen noodles and Spring Onions. I was really looking forward to trying this soup, especially since it didn't seem like it had any spiciness to it at all. I was surprised to see that after a few minutes of simmering in the burner, the soup broth transformed to a fiery red, dampening my hopes that the heat would be mild. This is the magic of the Army Base Stew (P698 good for 2-3). An eclectic mix of the fresh flavors of the land of the morning calm, meeting some of the classic favorites of the West. 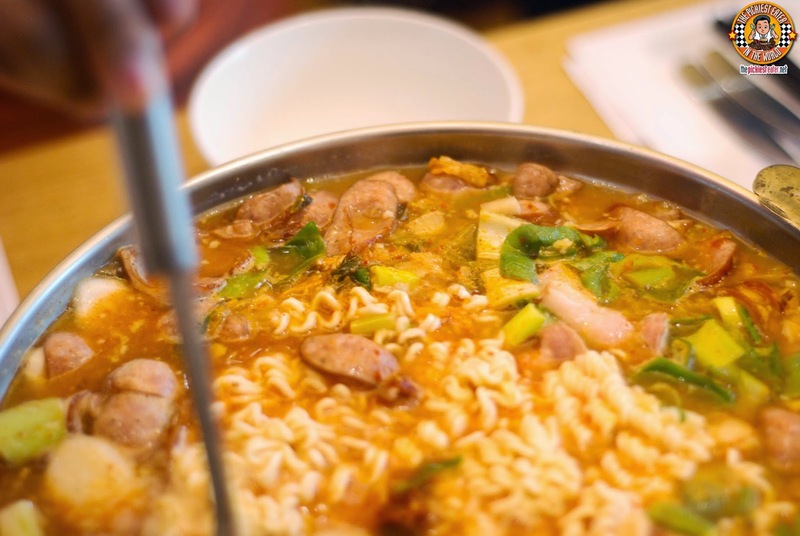 In the spicy soup which is reminscent of the Chadol Duinjang Jjigae from Yoree is bits of Bacon, sausages, Ham, ground pork, beans, macaroni, and tofu, to go with the medley of vegetables. 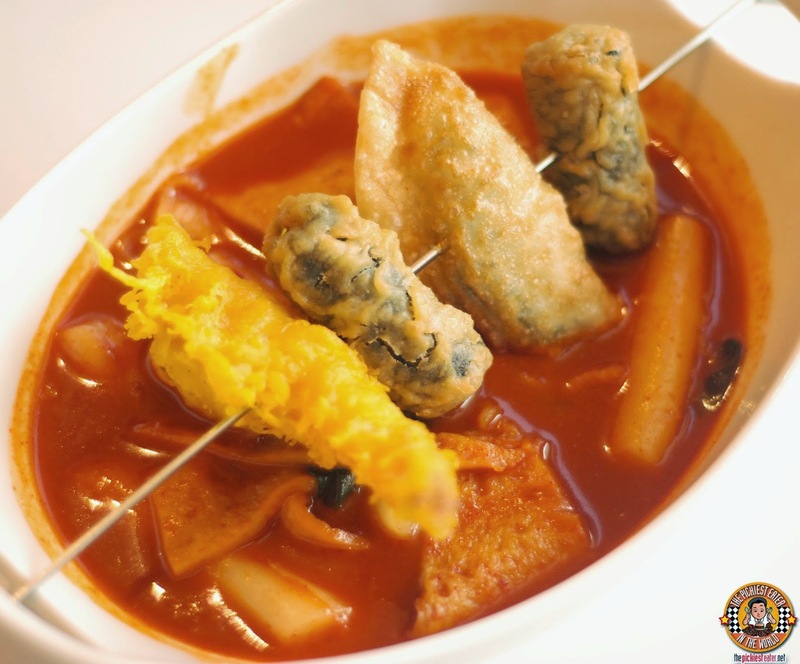 The name is derived from the fact that after the Korean War, there was a surplus of American goods left over, and the Koreans found a way to infuse into their dishes, in order to suit their tastes. Forget the Galaxy Note 4.. THIS is the testament to Korean ingenuity!! 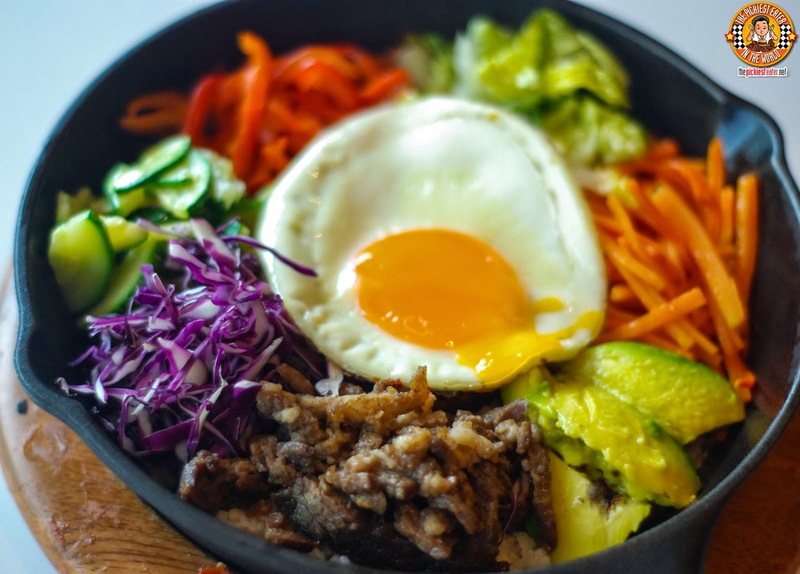 Any Korean restaurant worth its salt serves Bibimbap, and O'Rice, like Yoree, has a Pan Bibimbap (P248) that I found to be a cut above the rest. With a lineup of fresh vegetables and minced beef, you get a symphony of flavors that is punctuated by the heat of the red chili paste, that is perfectly balanced by the creaminess of the Sunny Side Up egg. Baby Rain joined us for lunch, so our gracious host, Aencille, thoughtfully ordered something she thought Rain would enjoy. In a funny turn of events, the Chicken Popcorn (P248) turned out to be one of my favorite dishes of the day! 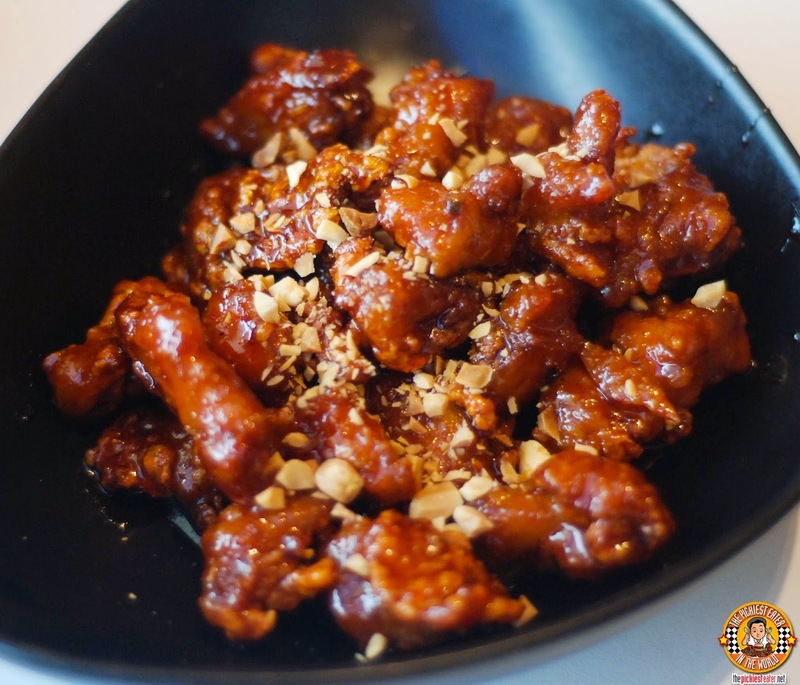 Plump chicken cutlets, coated in a tasty breading and deep fried, then glazed in a wonderful sweet and spicy sauce, with a sprinkling of sesame seeds. 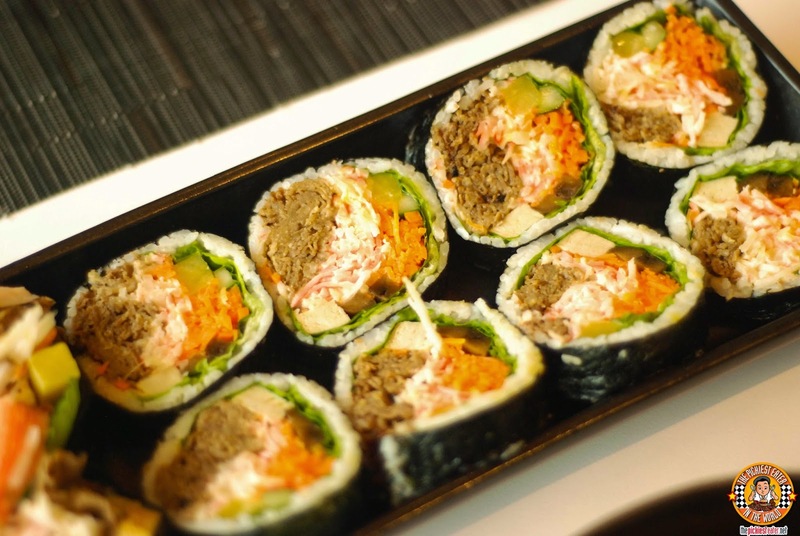 The Beef Bulgogi Kimbap (P298) is one of the most popular items on O'Rice's "Designer Kimbap" Menu. O' Rice offers a unique take on the popular Korean dish, by giving it a Japanese spin. A helping of Beef Bulgogi, together with fresh vegetables and steamed rice, is wrapped together with a strip of seaweed. 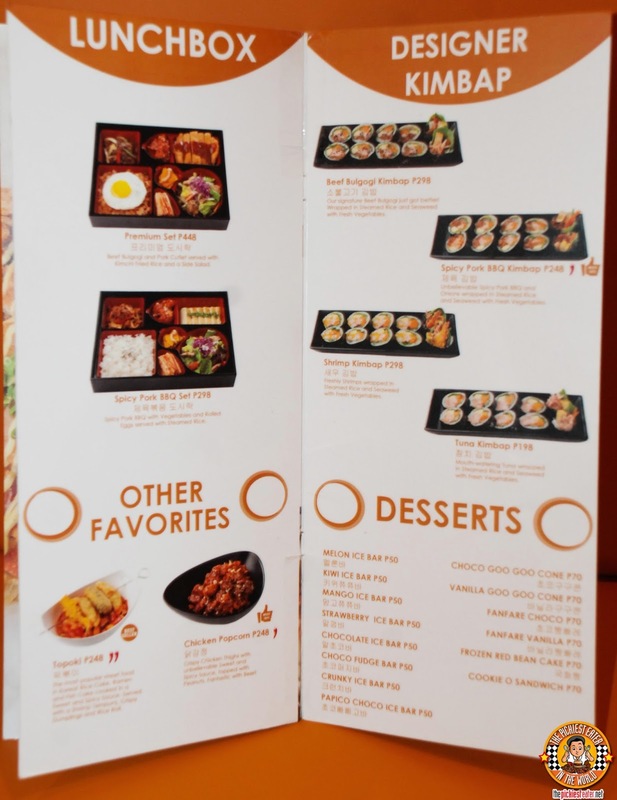 The "Designer Kimbap" menu also features Shrimp, Spicy Pork and Tuna Kimbap. Seafood lovers like Rina will enjoy the Topoki (P248). This was a bowl of Korean Rice cakes, swimming in a sweet chili sauce, with a variety of deep fried seafood skewered together and perched on top of the bowl. The Andong Chicken Stew (P498) kind of reminded me of our local Chicken Adobo. 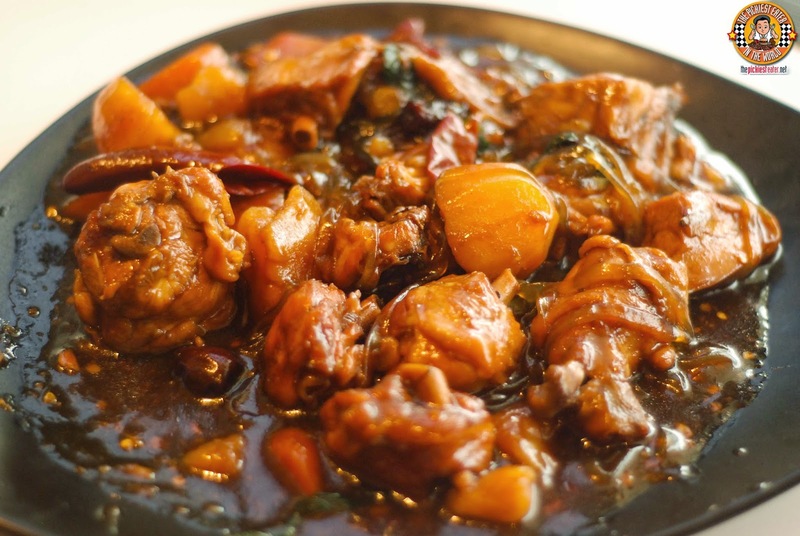 Slow cooked chicken parts are braised in a thick, almost gloopy, sweet sauce, then stewed with whole Chili Peppers, Potatoes and Carrots, place on top of a bed of glass noodles. I couldn't leave O'Rice without trying their Sausage Bacon Fried Rice (P248). 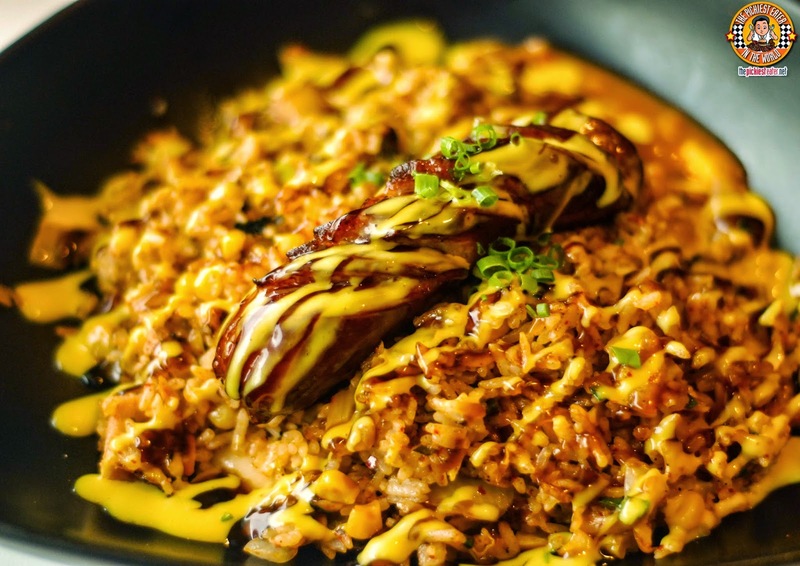 A juicy piece of sausage lay on top of O'Rice's trademark Kimchi Rice, mixed with minced bits of bacon and drizzled with a blend of Honey Mustard and Teriyaki sauce. The sweet notes of the Teriyaki sauce and Honey Mustard is prevented from becoming too rich by the light acid on the Kimchi Rice, with the Bacon and Sausage adding a delicious savory punch. I really enjoyed this, and would glady go back for it any time, with my only comment is.. MORE BACON! 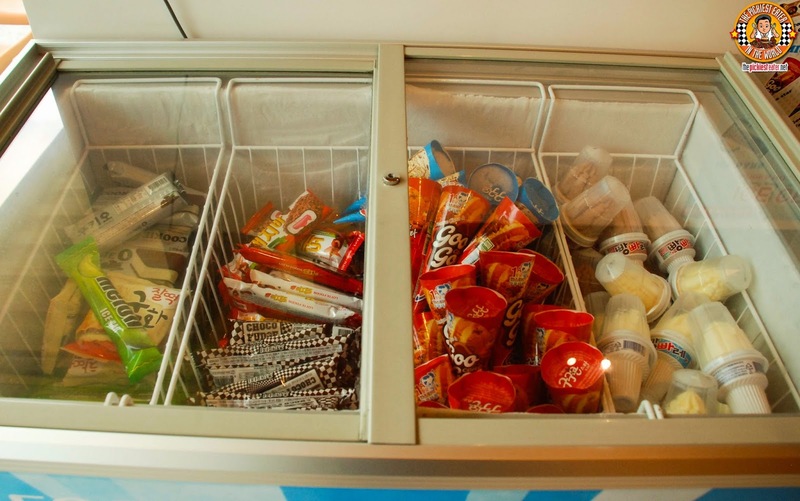 For dessert, you have a selection of various popular Korean Ice creams to choose from! I wasn't able to try as many of the rice meals that I wanted, but that just gives me more reason to go back to O'Rice! The dishes that I DID try, however, were all outstanding. 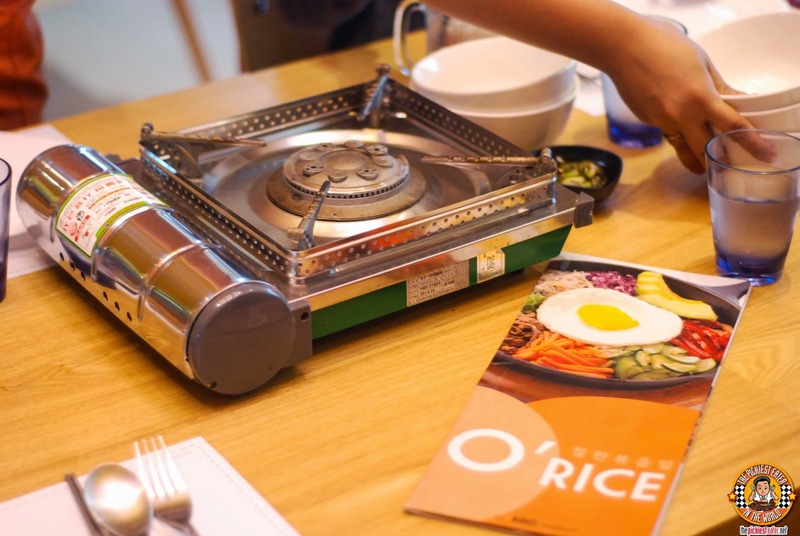 O'Rice is yet another excellent addition to the growing number of restaurants in Metro Manila, that effectively captures the authentic flavors of the beautiful country Korea.